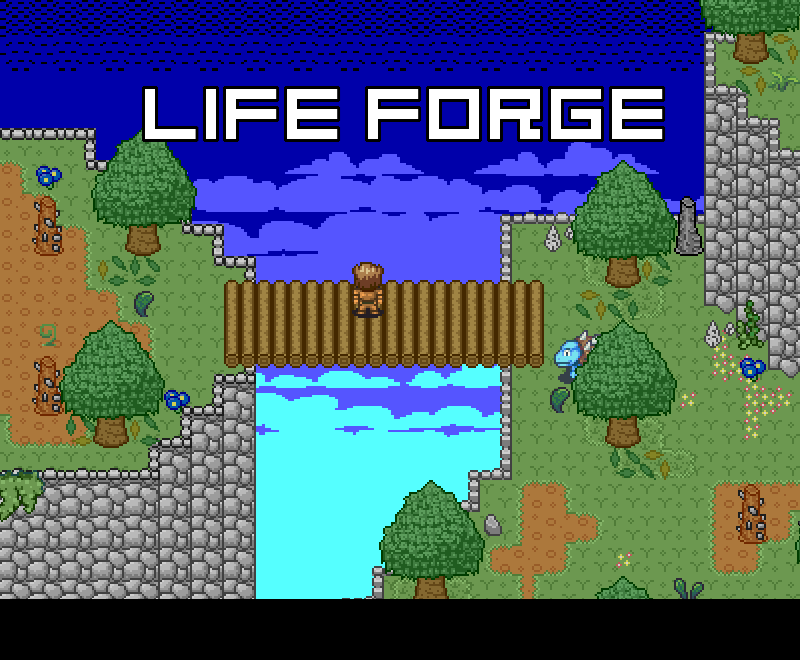 Life forge is an ORPG designed to be what you make of it. 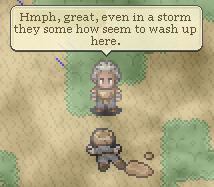 The story is simple, you are found unconscious along a shore line by an elderly man who leads you to his home for shelter. 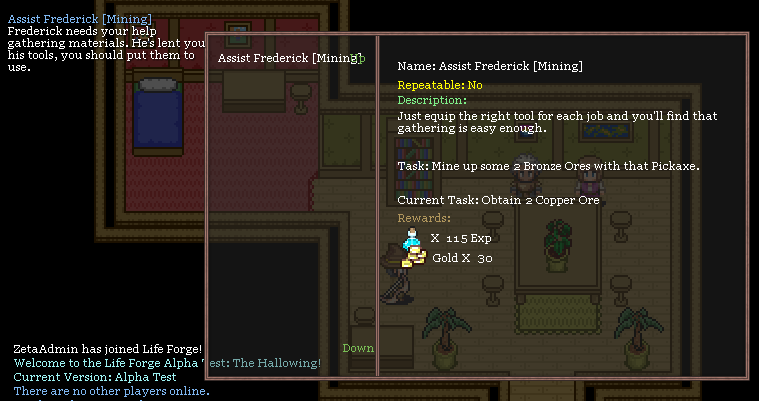 There, the player soon realizes they have no memories, of course and the world in Life Forge is all new to them. From here, the players life is whatever they make it. A Life Forge, if you will. In the world of Life Forge there is lots to do and be a part of. Players can become great and powerful heroes or, if they wish, villains and take part in quests, explore dungeons and have PvP battles in arenas. If a player decides they don't want to run around and take part in adventurous deeds then they won't have to. 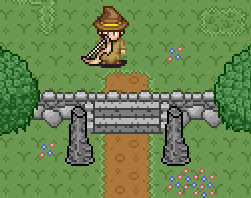 In Life Forge crafting is available as well, so If a player wishes then they can harvest all sorts of goods to create a variety of items. All of which they can either use for themselves or sell to other players. Guild and Player housing are also planned features for the game, giving players another little slice of variety and choices which will make their game play unique. Use mounts to travel faster! Different mounts will travel at different speeds and there will be several to choose from. 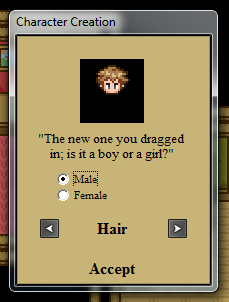 Choose your characters gender and their hair style. We plan to add new races as well. When your character dies, you will have 60 seconds to either wait and be revived by another player or respawn back at your last check point. *Note: You can press "V" to respawn anytime within that 60 seconds. You wont find any RPG Maker graphics here! 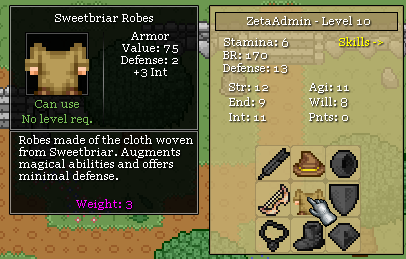 Items have weight and your character has stamina. The more weight you're carrying the less stamina you will have which will cause your character to move slower. Stamina can be raised through strength and endurance. Each boss is created to be unique for a more enjoyable boss battle. 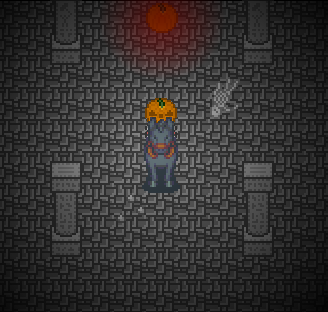 Custom programming for each boss is put into the game, so expect a challenge! Your character will gain threat when in battle! Be prepared, enemies will attack the fighter with the most threat first. And, there are taunt skills to increase your threat even more, for those who feel bold anyways. Keep track of your quest progress and pin the ones most important! By clicking on the quest while in to quest log, the quest(s) will pinned to the game screen for easy tracking! 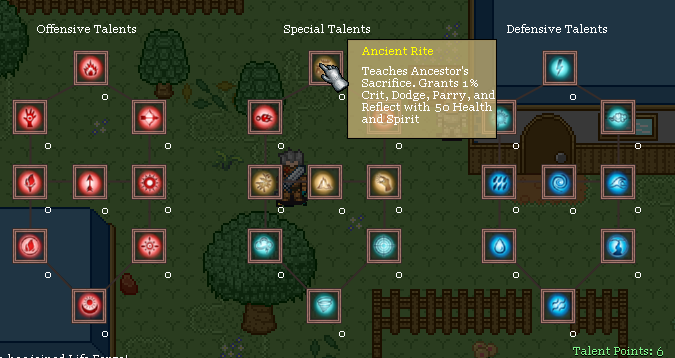 There are three different skill trees to apply talent points too, giving players the chance to make their character a unique and fun experience. SkywardRiver - Lead Developer and Programming, Zetasis - Lead Developer and Graphics and BeNjO - Programmer. Hey all! Skyward here for the Life Forge team! We're going to be talking about a great many things today! First of all, we've got a rudimentary trailer out now! As mentioned above, Open Alpha is here! Download at www.LifeForgeRPG.com and hop on in! We've got a growing community and it's incredibly fun to enjoy the game together! Perhaps the most important piece on this list, we're up on Steam Greenlight! Any little bit of upvotes helps us! Again, if you'd like to try the game before upvoting, you can! Anyways, that's about it for right now! Thanks for your time! Life Forge Christmas Play Test! We finally reveal the play-test date for Life Forge! Two new mounts revealed and talk of the Forgotten Spire! 9 previous dev logs all bunched into 1 for IndieDB!